I have been thinking lately I really need to get a blog post up, it’s been so long. I was thinking 3 weeks was the last time I posted. No, how about a month and a half. In that time my blog anniversary came and went, one year. Time really has flown by. WOW is all I have to say. In this next year let’s hope I can and will post more often. I haven’t been just sitting around I promise you. I have been busy. What have I been doing, you ask well, I’ll tell you, even if you weren’t wondering. At the end of October I finished my Chios level 1 energy healing (I’m working on level 2 now). I also became an Energy Healing Practitioner. Working towards healing myself and others with energy. It has been quite a beautiful journey and experience. 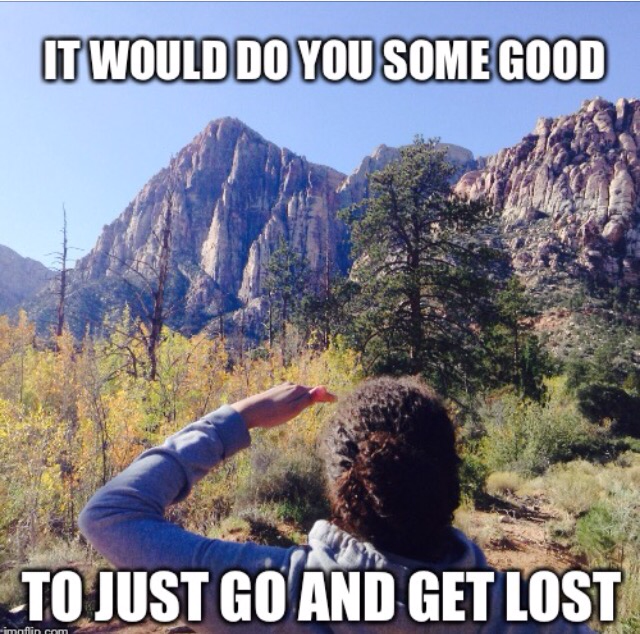 I went hiking with one of my daughters. I always enjoy getting out in nature. 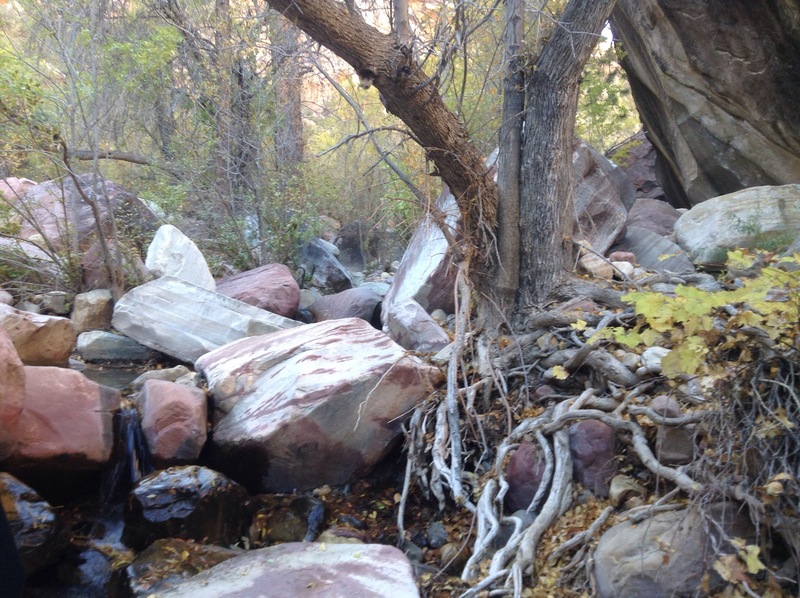 This is at Red Rock. In mid November I spent 4 days going to a conference for my day job. I am a Certified Ophthalmic Technician. I got all my continuing education credits done so I can renew my certifications next year. 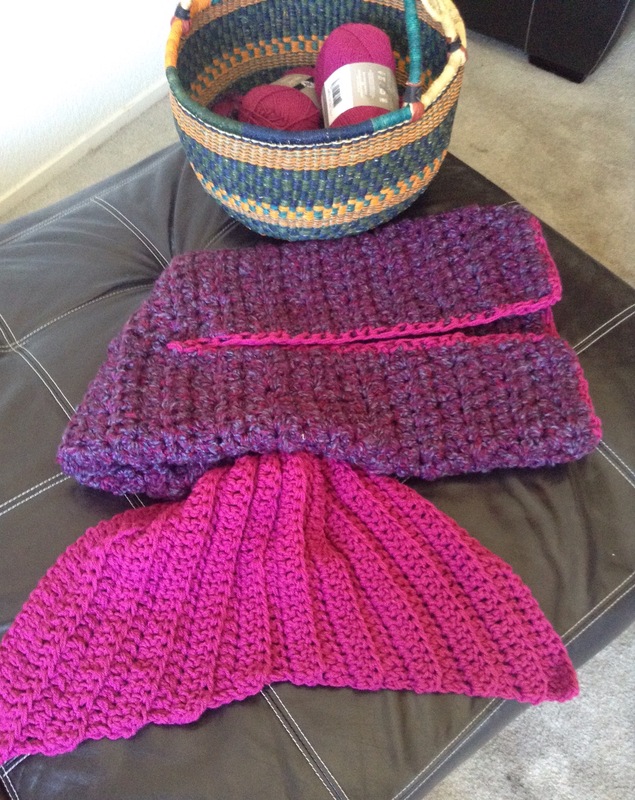 This weekend I have been working on and finishing up two custom crochet mermaid tail blankets. I will post pictures of the final product when I’m done. I love them, they are so much fun. 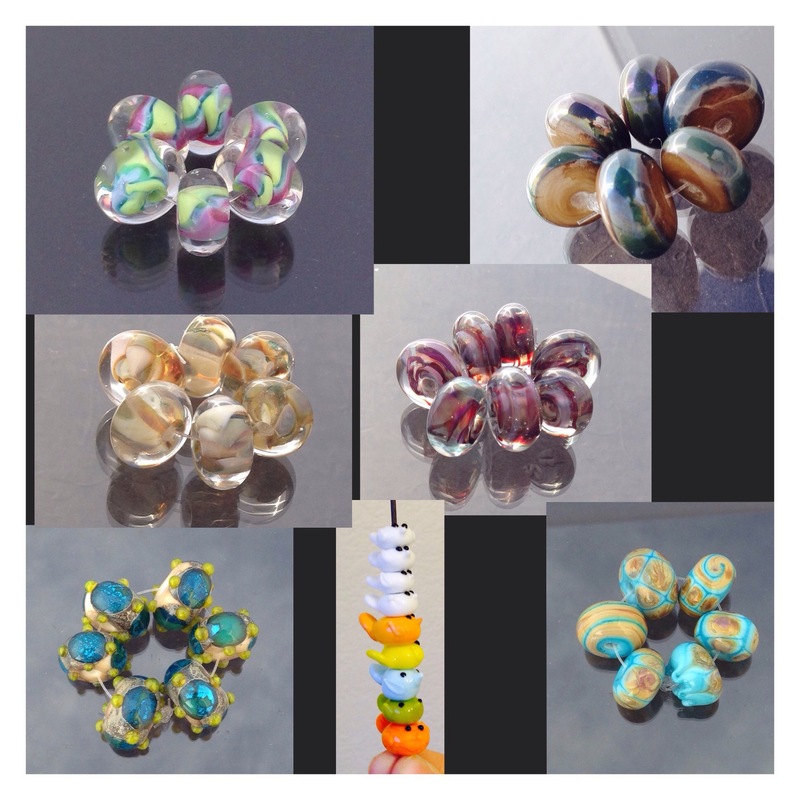 I have been making beads and a little bit of jewelry as well. Quite a wordy post not too many pictures. Just been busy. 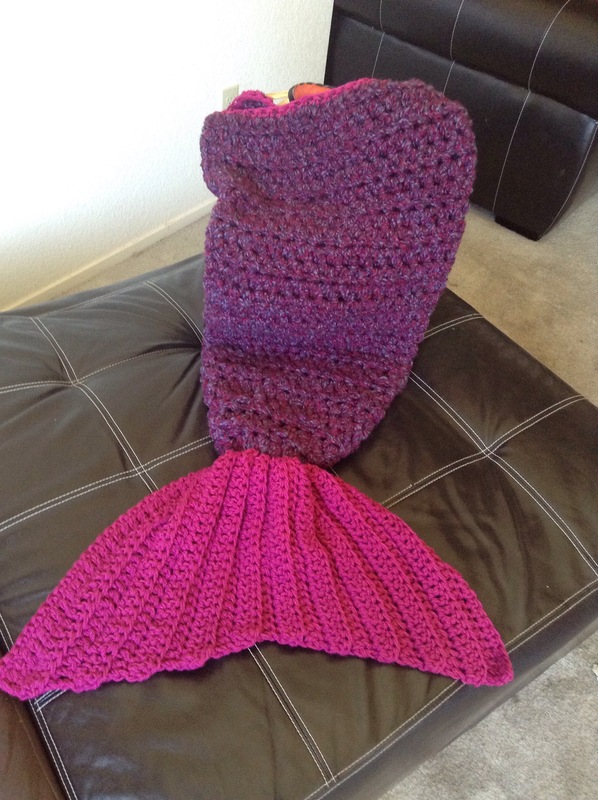 Last week I saw a post on my Facebook for someone to make a mermaid blanket. I instantly fell in love. Bought the pattern off of Ravelry. She has wonderful patterns. Hoping to get a few more. 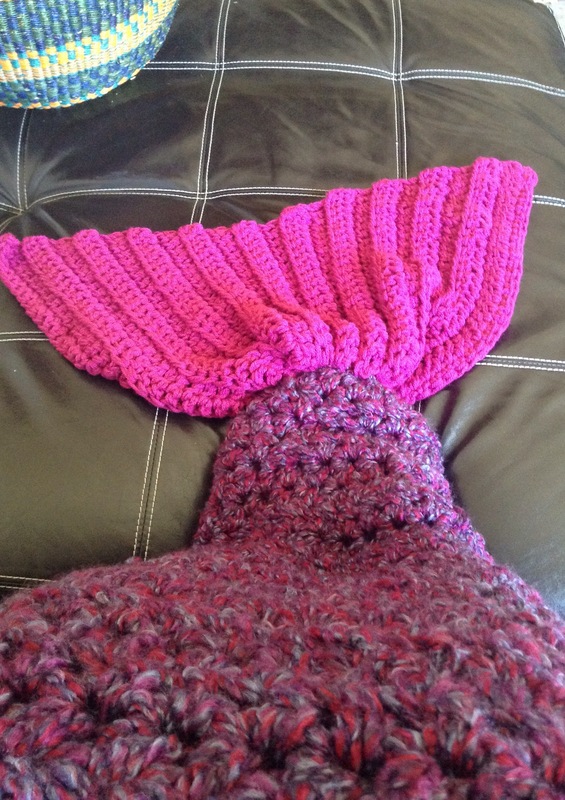 In the meantime I think I’ll make some more mermaid blankets. Did I get it done before the baby was born, yes. Has the mom gotten it yet, no. I have only seen her once since the baby was born and I was at work. Hopefully she will get it soon. It’s not really needed anymore since we are having 90 degree weather here in Las Vegas. I love how this turned out. I will be making this blanket again. Crochet month is almost over. I was hoping to get one more crochet project done this month but I had more going on. You will see in some upcoming posts. I got a job offer in Dallas, and I’m considering going. After living in Las Vegas for the past 17 years, I just may go. It’s a big decision for me and my family. Dallas looks like a beautiful city. I will keep you posted. I just found out this morning that March is National Crochet Month. All these years I never new. 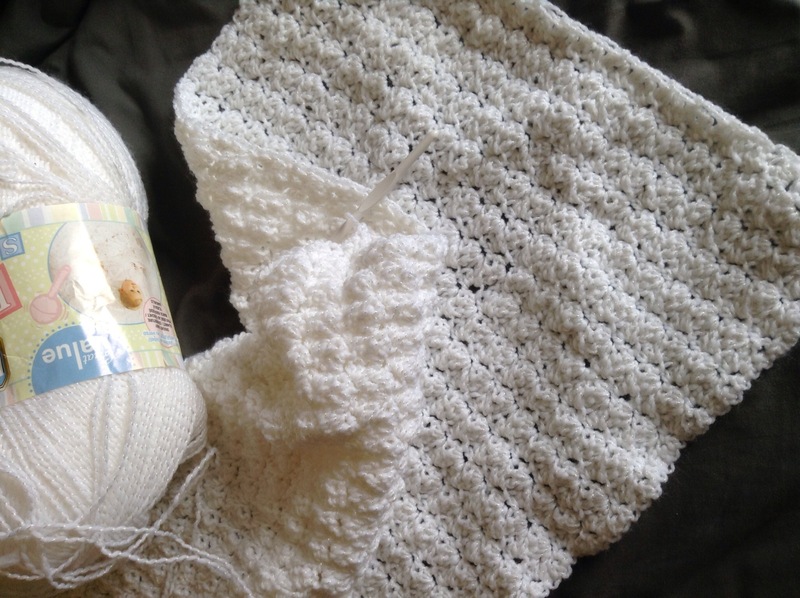 I know now and to celebrate this I’m going to share with you the baby blanket that I am working on. I got the pattern for this beautiful blanket here. Instead of starting with a chain of 62, I wanted the blanket a little bigger so I started with a chain of 92. I love the ease of this pattern. 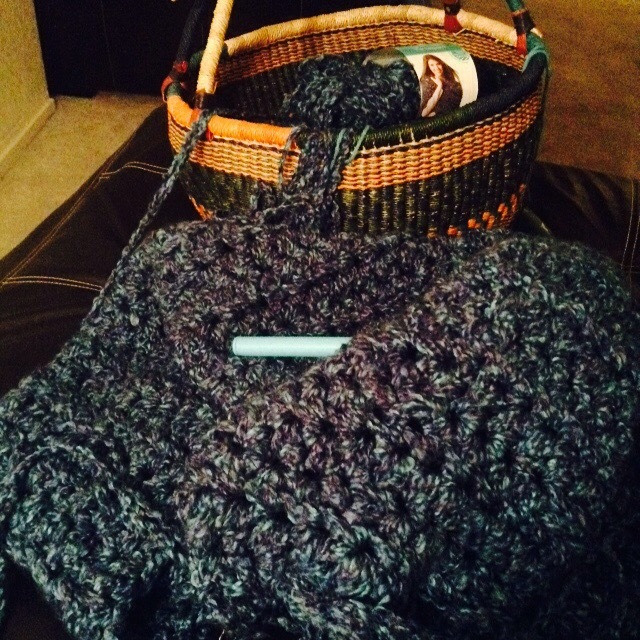 I can’t wait to show you the finished blanket with the boarder. As I grow my gray out I’ve had some strange looks and funny comments while at work. My favorite was, “what in the heck did you do to your hair? I looks….interesting”. Lol. I’m happy with how it’s coming along. I have just one more cut to go and all my hair will be natural. I have gone shorter than I wanted, but I like it, it’s fun, funky, and pretty easy to take care of. I can’t believe we are now in the second month of the year. My last post was 3 weeks ago. What in the heck have I been doing? Working, working hard at my day job. Folks need surgery and glasses and I’m here to help with that. Finished a blanket I’ve been working for a Christmas present for a friend. I’ve been so busy have not had a chance to deliver it. I had quite a few bead sessions at my torch, needing/wanting to fit in more . 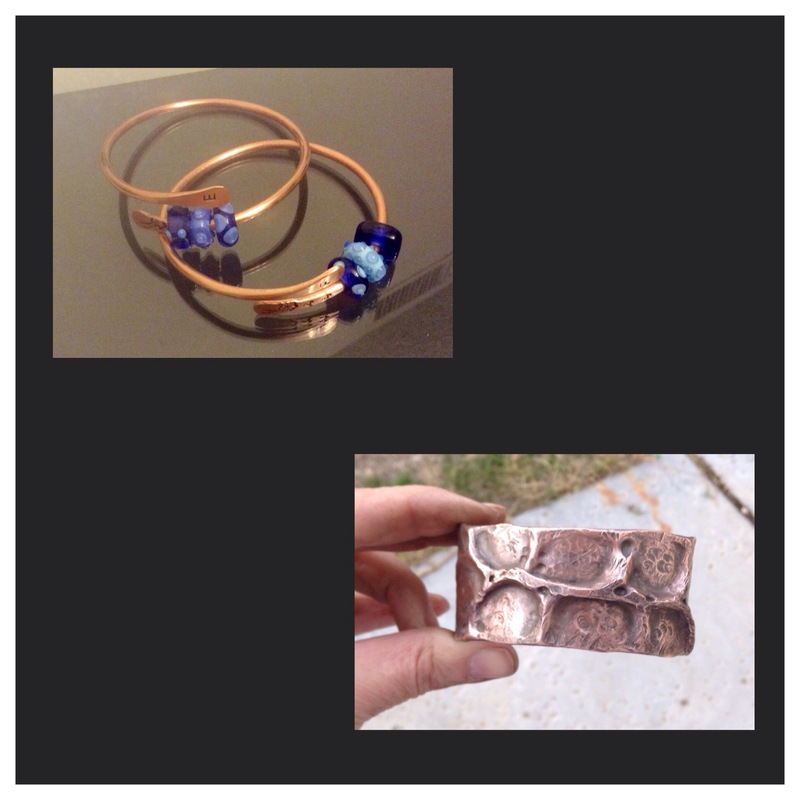 I’ve been working on my metal work and designing a new line of jewelry hopefully to start selling by June of this year. What do you think? Growing my gray out, and it’s coming along quite nicely. 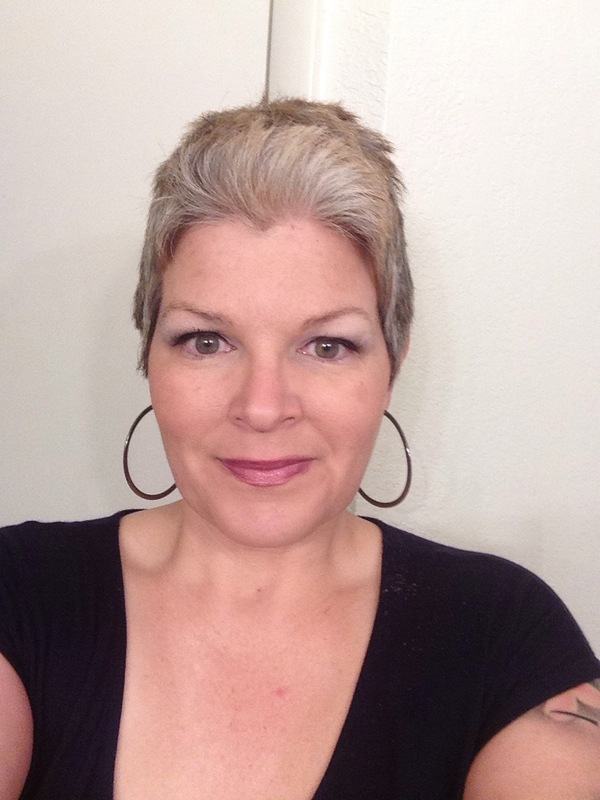 I’m figuring by the end of this month (February) I should be all gray with a short pixie. Had a bellydance performance, and had three weeks to learn the choreography. Many practices to fit in my already tight schedule. I’m not really a dancer so it takes me a bit (forever) to learn the steps. I put a down payment on a kiln I have been wanting for 5 years. WooHoo! 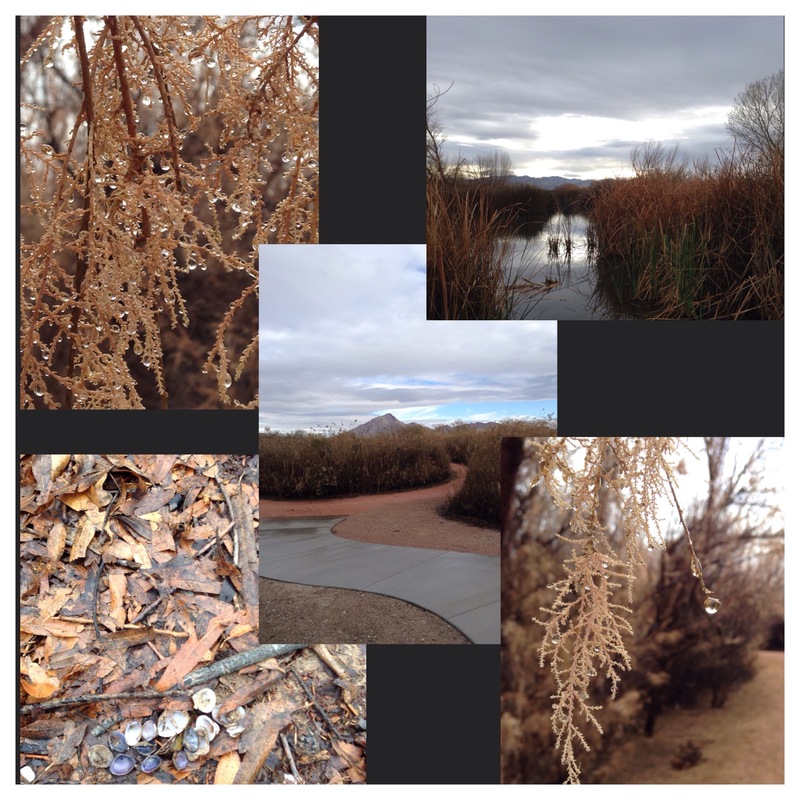 Went to the Wetlands park here in Las Vegas and was amazed by all the beauty, wildlife, and tranquility. Can’t wait to come back. We are not all casinos and shows here. 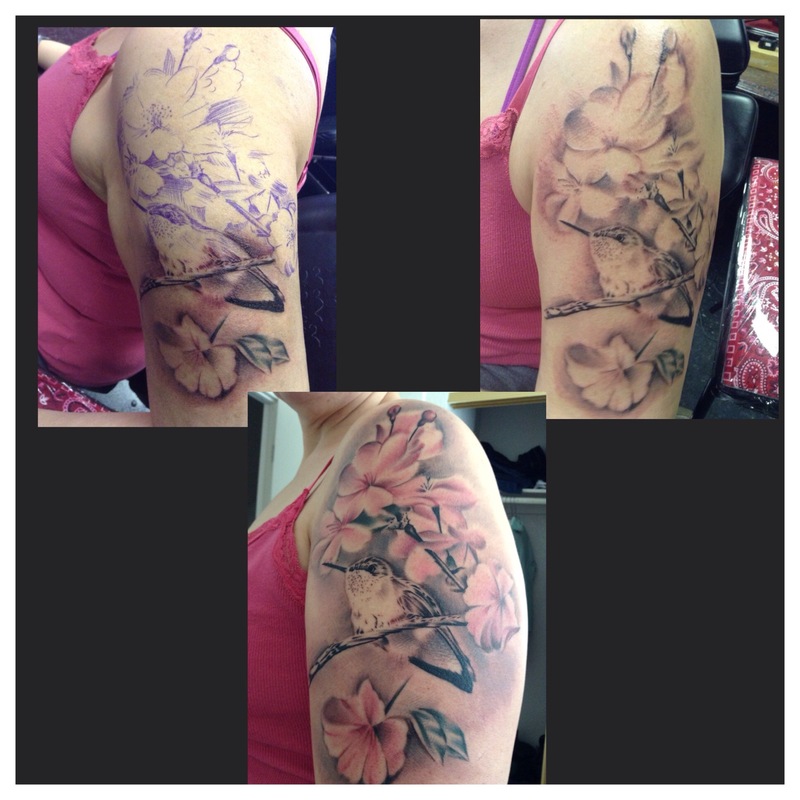 Started a stunning new tattoo with a desert humming bird and cherry blossoms yesterday. Jake is a true artist. It’s a little out of my comfort zone (due to placement) but I knew it would be. All the little details will be added in a couple of weeks. Lastly, I ended this incredible month going to see Sinbad… He is still funny as ever. If you have a chance to see him, GO, you will be laughing the whole time. Really enjoyed that show. Whew. I think that’s most of it. I assure you I was not sitting around wondering why I have nothing to do. Goal for this next month is to try to post at least once a week. STAY TUNED! 10 of the baby caps done! I love how they have turned out. I still have two more to do, they should be done by the end of this week. I had so much fun with this that I will be back next year for sure. 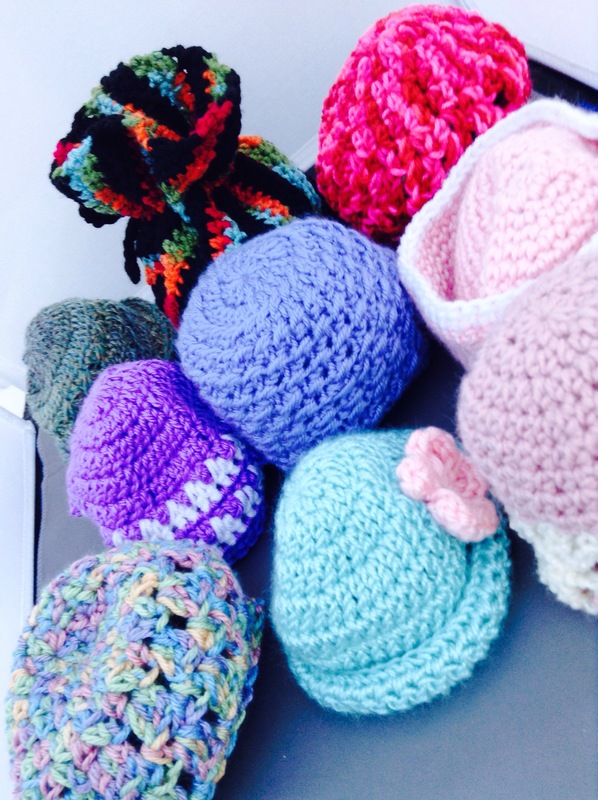 Hopefully with even more hats, I will be working on them throughout this next year. I’m going to share something with you. 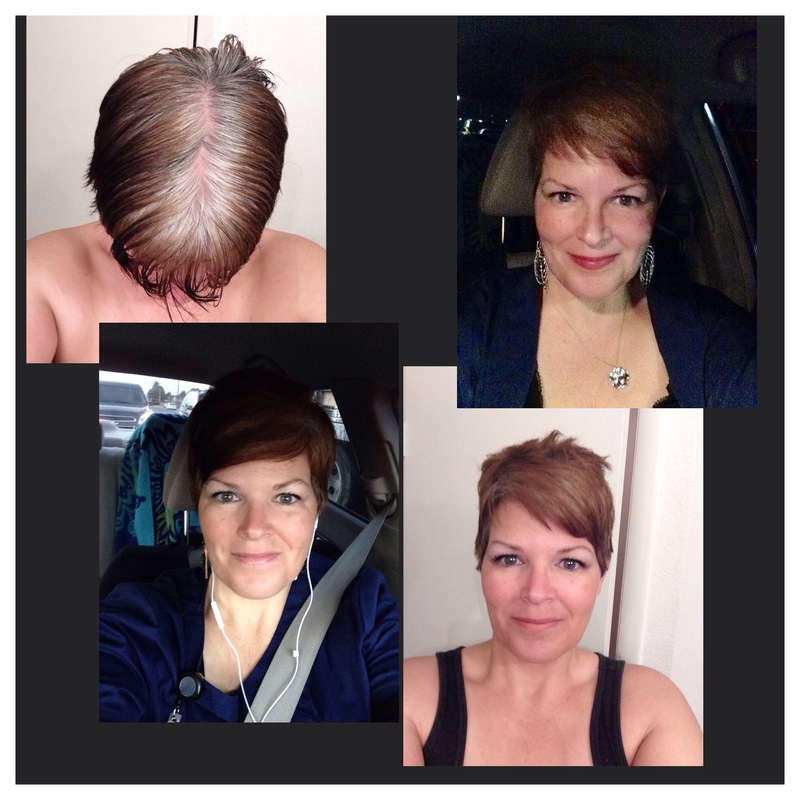 I have decided to stop dying my hair and go gray for good! 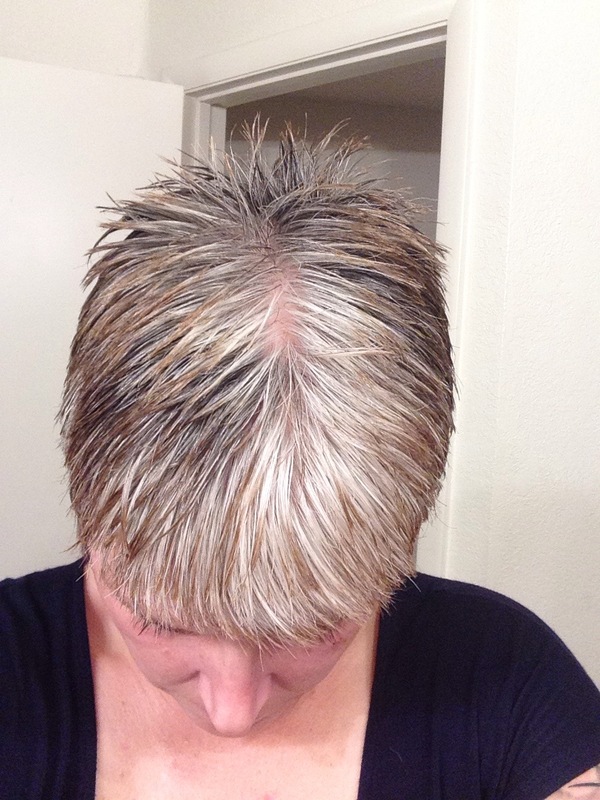 Ive been dying my hair for at least 26 years, I started going gray at 16. I’ve had lots of encouragement to go for it and a few tell me I should wait a few more years I’m too young. I figure now is the best time, my hair is short and grows fast. The worst thing that can happen is I hate it and dye it back. Right?